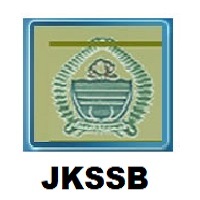 JKSSB Jobs Recruitment Notification 2019.Jammu & Kashmir Service Selection Board inviting applications for the positions of Technician, Nursing and Para-Medical Staff, Various.Interested and Eligible candidates can apply for the positions. Last Date for Submission of Application is on February 27th, 2019. JKSSB inviting only Online applications for 247 jobs barthi. Go through the JKSSB Online Application Steps and submit the application form as soon as possible to avoid last minute rush.